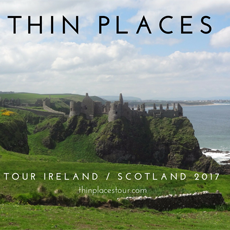 Thin Places - Sacred Sites - Earth Energies - Mystical sites, Sacred Places in Ireland and beyond: What are thin places? The most commonly asked question by visitors to my Thin Places blog or my Who Cares What I Think blog is "what are thin places?" or "how do you identify a thin place?" Thin Places are places where the eternal world and our physical world meet and mingle. I didn't coin the term, and it is widely used by mystics and those who write about Celtic Spirituality. The term thin place comes from the pre-Christian culture in western Europe - particularly Ireland - and refers to a place where the veil between this world the "other world" or the "eternal world" is thin. Old tales tell of people and beings of the other world being able to pass back and forth between worlds in thin places. Every person will identify a thin place differently. I can only share my own way. A thin place is sensed differently that our present world - you cannot see it, touch it, hear it, smell it, or taste it. Our sense of a thin place transcends the physical limitations of our five senses. I sense a thin place in two ways. I feel a strong sense of the past still present in the place. I can hear God more clearly than in any other place - the sense of Divine Presence is very strong to me. To me thinness has degrees - yes, some places are thinner than others. Why would anyone want to visit a thin place? Because it exercises your spirit, makes you more in tune with your own spirituality. Prayer seems more powerful. Answers come more readily. The sense of peace is overwhelming. My article Walking through Thin Places goes into greater depth on spotting and sensing thin places. Are there thin places in America? 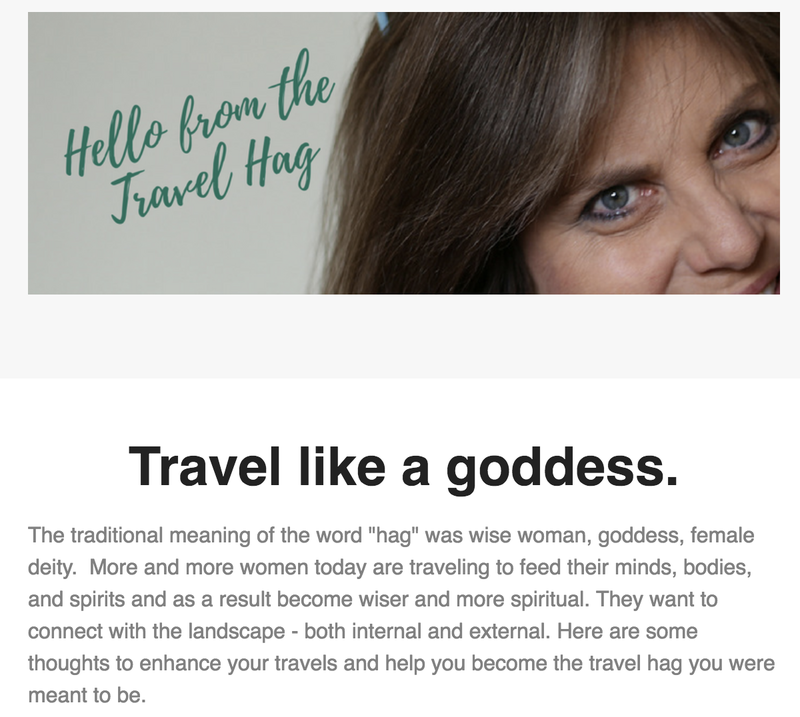 Sure, but I find them here and there scattered over large land masses. In Ireland, Scotland, Wales and England, the very ground cries out with them at every turn - every town. Labels: Celtic Spirituality, What Are Thin Places? I had an experience almost 30 years ago that I could never understand, but I knew it was spritual and was connected to the area I was hiking through (the Mojave Desert in California). It was more than just a feeling as several "physical" manisfestations occured as well. I'v always been reluctent to share this story with anyone, actually only one or two people even know a little of the story. I always figured whatever happened out there will reveal it'self someday. Now I think it may have been a Thin Place. Wow, maybe I'm getting close to something, an answer perhaps. I haven't been there in so many years but I think I can find the place again. Answers, revelations, ideas ... all seem to come more easily in thin places, William. Thanks for your comments. Last summer I was visiting with a friend in Colorado. One day we were picnicing in Rocky Mountain National Park and went for a walk. We came upon a place where a tree had been uprooted and there was water flowing from under it and the ravens were calling to us as if to call attention to the place. I know something happened there and we could feel the sacredness of it. On a later day we took an offering of bread and left it in a cleft that had been made in the sod and roots of the tree. Funny you should mention the ravens. They often call out when there's something important to notice. RMNP is such a beautiful landscape. Thanks for sharing your story, Rev. Jo. I visited Cashel too and it was amazing! Another place that moved me even more was the Hill of Tara. It truly had a magical feel to it. Standing there it was easy to see why the High Kings chose it as their place. Looking out to the horizon there were little green fields as far as the eye could see until they faded into the mist in the distance. I would definitely call a thin place. Interested Reader: I have heard of Thin places before but certain things that have happened here have made me believe this is likely one of them. Now I read on this of one in the Mohave Desert. Eureka! That's where I am. And of course you don't share with many. It sounds just bonkers! Thank you for sharing this stunning mystical information - I am in awe as I think about it. I have subscribed to your blog. Wonderful! A thin place: the Sanctuary in Chimayo, New Mexico. When I first pulled up in the car in front of it, I felt a vibration or perhaps I could describe it as a "soundless sound" emanating from the Church. I think there's something about the hearts of pilgrims that consecrate a place. I hope to visit New Mexico and many of the thin places there. Thanks for commenting and sharing your link and experience. The closest I've felt to this experience was in St. Paul's Chapel, directly across from Ground Zero in NYC. Powerful place full of pain and peace. I've been to St. Paul's chapel, Ellen. True! It is a thin place. I was present ,3 years ago, when over the course of one year, my mother, sister and father left this earth. The saddest of times,i remember each vividly. I still recall them daily, and as hard as they were, and as often as i wonder why i happened to be there for each, i feel very blessed to have been. In as difficult as they were, they were also beautiful- if anyone can understand what i mean by that- i dont really -- but they were. the air was different , the suffering was over,there was a shift in being, in the soul leaving i guess that was. my sister had told me, when the time came, to open the window, which i did for each, and she was right.thin moments and times for me. a good way to think of them. Our family, too, lost our mother, sister and father within 9 months within this past year and a half. Some of our family had all been to the Rock of Cashel in May 2000. Our sister is treating our whole family to go back next June as there has been a tree planted in Dublin so we will celebrate our sister's life, she would be 60 next year. We hope to experience more think veil places. I understand your description of beautiful, at least for my sister, as the ten remaining siblings were at the hospice house with her. When she took her last breath, it did indeed feel like Heaven was right there and I felt my Mom's presence in the room. It was told to us that in Heaven there is no time so when we get there, it will be like we've never been apart. Thank you for sharing, Nancy. I was recently described by someone as a "thin spot" after I gave a talk. I see a little more what this person may have meant. I had no idea what the term referenced. Thanks for the insight. You must be an inspirational speaker. Glad you stopped by the blog. Hope you'll keep coming back. So true about the draw to go back, Maureen. I find that many people share that feeling. That may be your place of resurrection. Thanks so much for sharing and please keep in touch. Today is the first time I have ever heard of an actual term for some of the strange and unexplainable "feelings" I have about certain places. In fact, sometimes it seems so odd that I just don't talk about it, but it never leaves my mind and I always wonder about it. Last month I was roadtripping through Ireland and happened upon Kell's Priory in the village of Kells, County Kilkenny and this strange otherworldly feeling showed up again. Even now, I can barely describe it. I've described the place physically to others, but I can't capture the magnitude of it because it was probably more oddly spirtual, than physical to me. It must be a thin place... And the same thing has happened to me several times during my visits to Scotland. Erin, I totally understand. Kells is a special. Lots of energy there. Kells is near Loughcrew (megalithic cemetery) and Sliabh na Caillí - the hill of the hag. And that hill is in line with Carrowkeel and Carrowmore and Tara. So it's no wonder you felt power there. Keep at it. These places can heal us. I Live in County Clare, Eire, not to far from The Burren, but my story I'd like to share with you is about a place I believe is a thin place. Anyway at the time there wasn't really any internet so we just put it down to a ghostly experience, Years later, i moved to Ireland, and was at my fathers house and we were telling ghost stories, I told mine, and my father remembered me telling him at the time and said i should google Borley and see what the history was, so I did and what i found really shocked me, it turns out there was a nun and a monk who are said to haunt Borley, (which I didn't know at the time,) apparently, back in the day, they had an affair, and the nun was bricked up alive in one of the walls of the rectory, and the monk was killed too, (I can't quite remember how) but when i read this I was shocked but knew that it all made sense as it was definatley a nun I saw that night. Thanks so much for sharing that story. If I get to England, I'll definitely try to visit Borley. I did some reading on it and I see that it was finally destroyed in 1944 after a fire. I'd love to check it out. Thanks so much for taking the time to put all of that into worlds. It's a great experience for sharing and you did that well. There are two 'thin places' that I have experienced and been to. One is the Waipio Valley on the Big Island in Hawaii and the other is Mendocino in northern California. No one told me that these are thin places however I felt this myself; both have a holy Presence, a sweet Spirit, Divine peace and serenity. When there I felt complete and content and all my busy thoughts ceased; I felt there was no where I needed to go and nothing else I needed. Most people have no idea what I am talking about but after experiencing this I heard about the thin places and knew that is what these are. Thanks so much for sharing your stories, Leslie. You certainly have the connection to thin places. A friend suggested I look up thin places after telling her of an experience I had. I have enjoyed reading what others have written. Where I had my experience was at Chaco Canyon in New Mexico. I had a very strong urge to visit the area which was inhabited off and on from 800 to 1200 A.D. by the Anazasi, ancestors of present-day Hopi and Pueblo peoples. There's one rebuilt area in the shape of a half moon which was the home of some 1,000 people--it's called Pueblo Bonito. The area was a ceremonial center and outliers would participate in the ceremonies. I told my friend I wanted to be alone to walk around the town. Once she left and as I walked, I was overcome by such a strong feeling of sadness. All I could think about was I didn't want to leave my home again. I sobbed for some time. I have talked to others who have visited this national park, and they've had similar experiences. Definitely a thin place. Sounds like you might be an empath ... able to absorb the feelings around you. Chaco Canyon is a sad sad place from what I've read from others who have visited. I hope to get there some day. Thanks for taking the time to share your feelings. Hi, I'm wondering if you could point me to any of the pre-modern textual sources for the term and concept of thin places. I agree with one of your other posts about the archaeological evidence that pre-Christian and even pre-Celtic peoples in Ireland acknowledged the concept, but I'm curious about what people have been saying about them and what terms they have used. What are the mediaeval texts available? In all these comments I have read about thin places...thin moments and thin times...Is there anything like people..I think there are people I've met who seem to be just that....! My question is does human activity create a thin place? Or do we build places of worship because we sense( on some level) it is a thin place?